Your high school coach said to ice your soreness. Your friend said to apply heat. The hypochondriac at the gym says, “Both. Always use both just in case.” Let’s get to the facts. When you pull or strain a muscle, tendon or ligament you have a soft tissue injury. Soft tissue injuries are painful due to the physical trauma of the injury and the swelling. The result is stiffness, pain and muscle or joint tenderness due to blood flowing to the affected area. 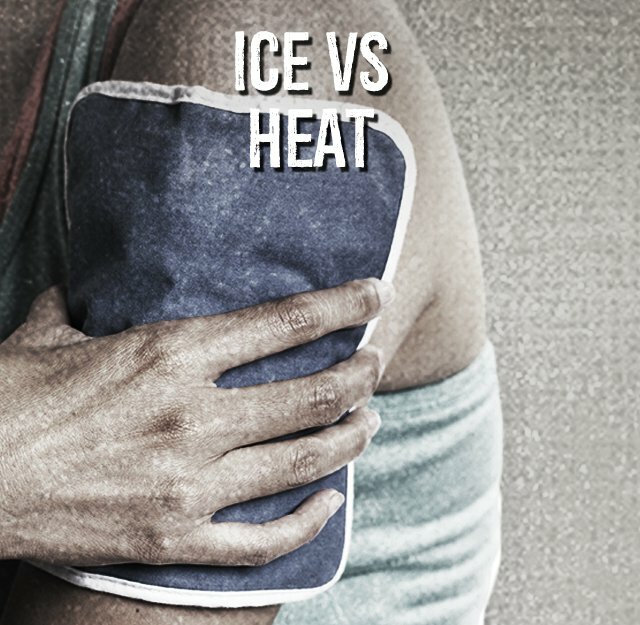 Cold therapy in the form of ice or a gel pack slows down the circulation around the injury, reduces inflammation, muscle spasms and pain. In addition, cold therapy causes local constriction of the blood vessels, helping to reduce swelling. Heat opens up blood vessels and increases blood flow, while cold slows your blood flow and reduces pain and swelling at the time of injury and the days following. In addition, the increased blood flow supplies oxygen and nutrients that help in reducing pain in your joints, relaxes your sore muscles, decreases spasms and can increase your range of motion and flexibility.